These gifts are all under $100, and have everyone covered from your mom, to your niece, even your dog! Giving gifts during the holidays can be a stressful exercise. Not only is it hard enough to find the perfect gift, but sometimes you’re not sure if you’re able to make rent after showing your loved ones how much you actually love them. That’s why we created this list of gifts that are all under $100. Many more are under $50, meaning that you can find the perfect way to say “I love you!” without breaking the bank this holiday season. The Amazon Echo Dot is a low cost AI that can really help you in your everyday life. Shouting at poor Alexa is almost a part of pop culture at this point. 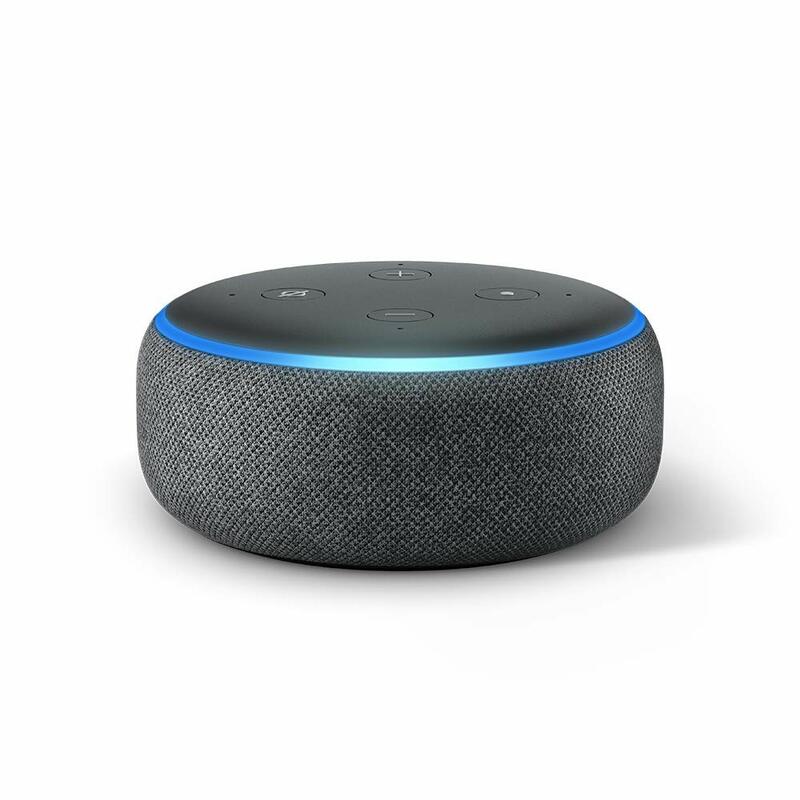 Whether you’re asking her the weather, to set a timer for cupcakes, or booking broadway tickets, Alexa is there for you, and at a great low cost. Some people would rather have their paper books torn out of their cold dead hands. As an English major, I wish them well. 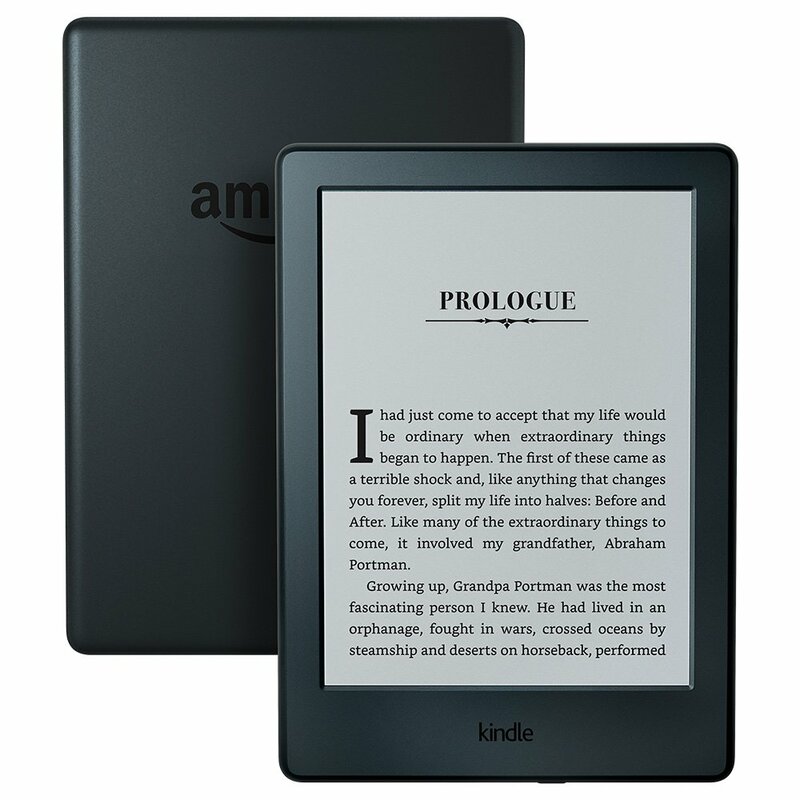 The Amazon Kindle is absolutely a necessity for going on vacation, or anyone who loves to read. What’s even better, is you can fill your Kindle at no charge with books rented from your local library! How often do you find out that you’re somewhere – your phone is dying, and you can’t get a charge? Or, no one has the new lightning cable. Now, you don’t have to worry about that! 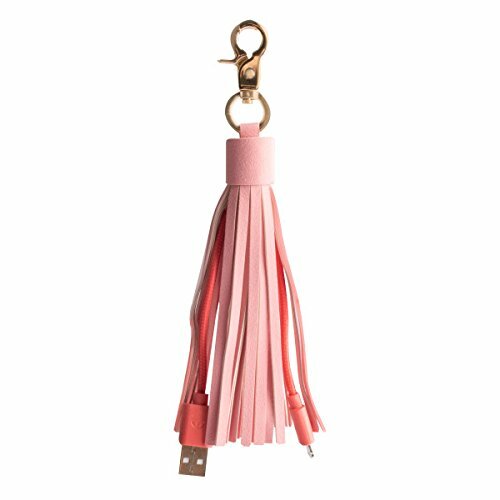 It’s a cute tassel that hangs out right on your purse. This would be a super cute stocking stuffer for your favorite person. Airpods are still way too expensive for what you get. 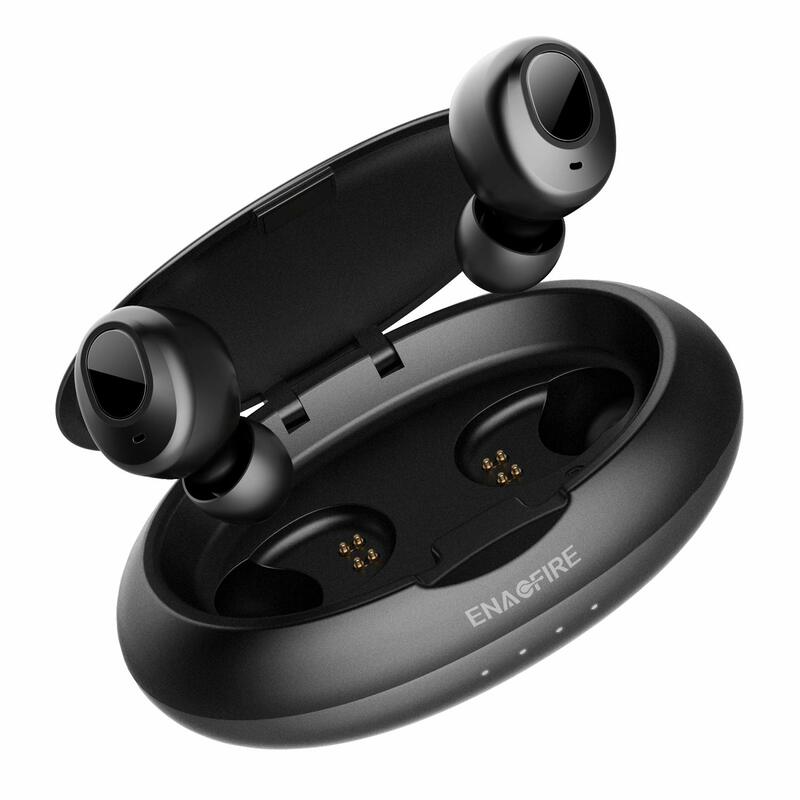 The Enacfire Bluetooth Earbuds are a perfect replacement – at a third of the price! And, because they’re Bluetooth – you don’t have to worry about them not working on Android phones. Whatever kind of phone you have – you’re covered! We thought instant film cameras were dead when we started putting cameras in phones – but Fujifilm made them cute so now they’re back! 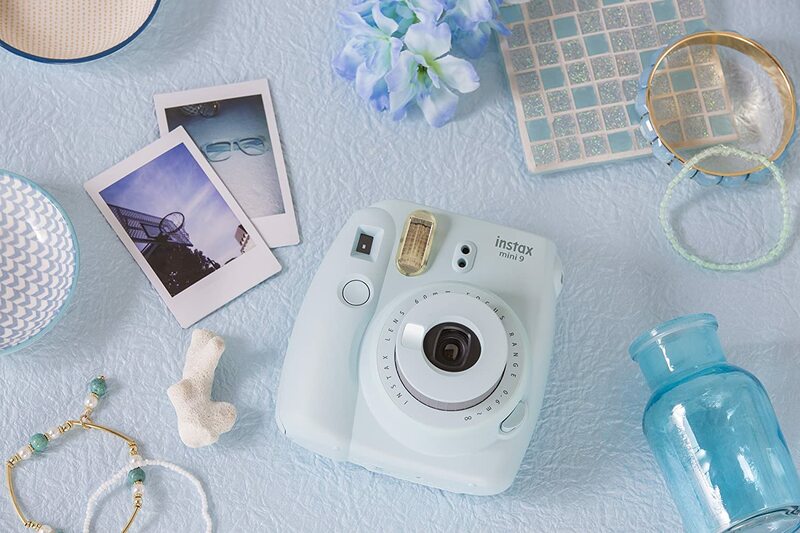 There’s nothing better than using this instant film camera to put in a cute holiday card, or fill your scrapbook. It’s truly a thoughtful gift! If you haven’t heard how badly blue light is for your eyes and your brain – it can do quite a number on you. For those of us who work on our phones, on our computers, or any combination of the two, these glasses are a complete life saver! 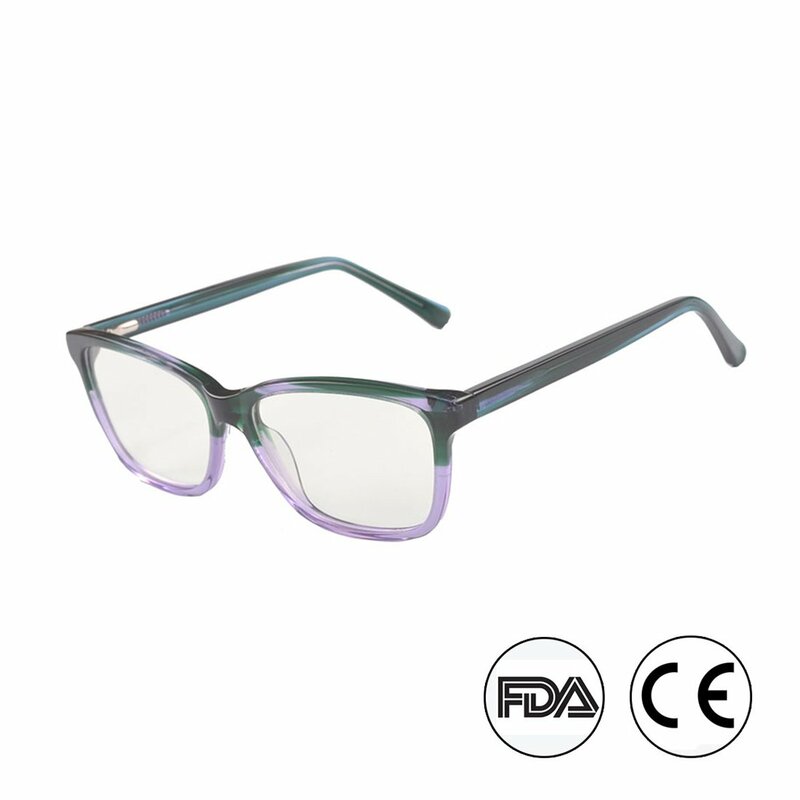 Prevent eye strain and damage and keep your sanity with these glasses. You whistle, you call, but whatever you do – your precious fur baby does not know to look at the camera. 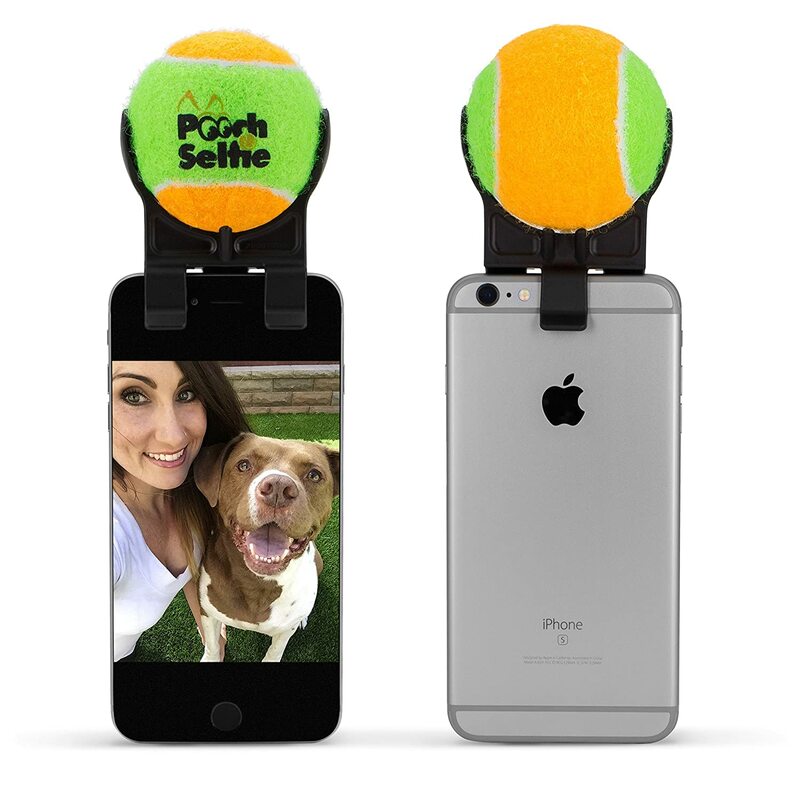 Just because this looks silly, does not mean that it’s not an absolute necessity if you want to take selfies with your favorite four legged friend!. We all have a story to tell. Tell the person you love that their story can change the world with this microphone. 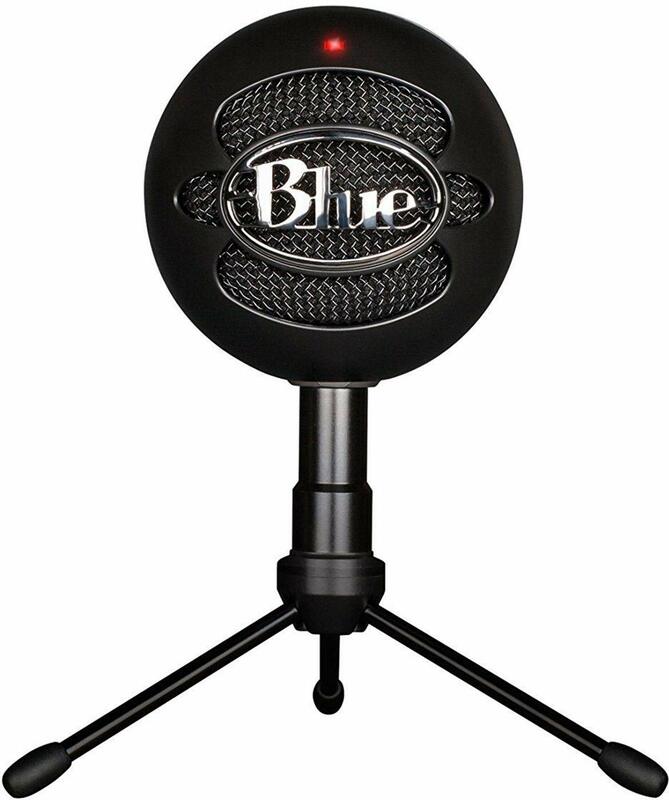 The Blue Snowball is a professional grade microphone, great for recording music or a podcast! 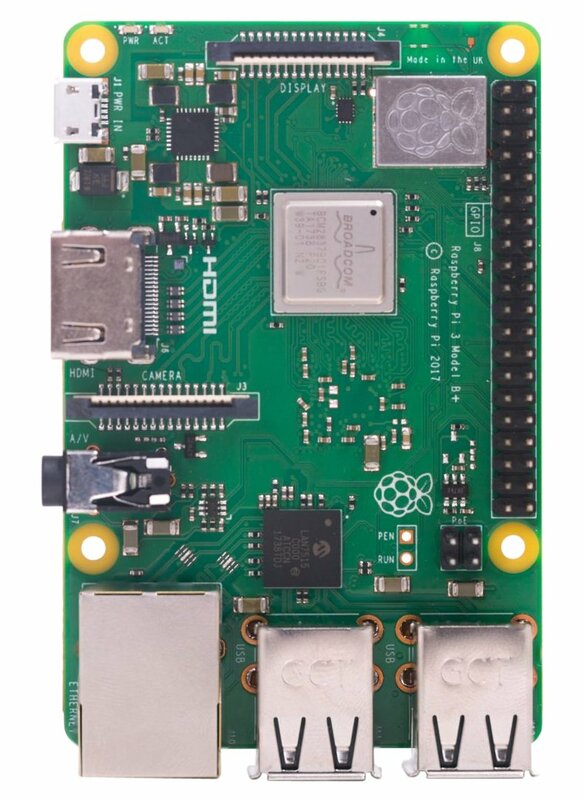 The Raspberry Pi motherboard is a great way to start exploring how to program or engage with the technical world. May college students get their start working on the Raspberry Pi. Why not buy it for the techy in your life? This keyboard is a game changer for anyone who wants to have more freedom to write. 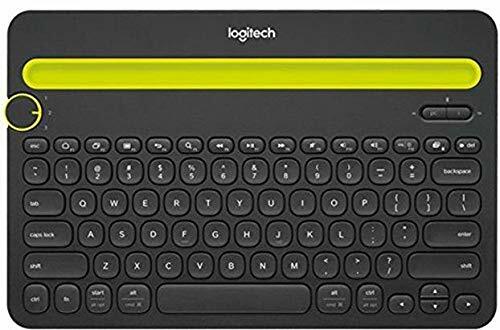 If you often write emails on your phone, or want to stop carrying a bulky laptop – this keyboard can help you keep the good ideas flowing when you just have a phone or tablet on you. It’s a full sized keyboard – so don’t think you’re going to be hampered while you’re on the go! The Moov Now Fitness Tracker is a lightweight fitness tracker that tracks everything from steps, reps in the gym, or laps in the pool. 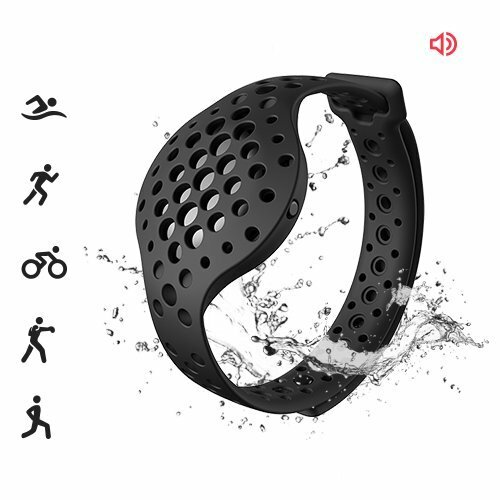 It connects to your device through Bluetooth, and can help motivate the fitness guru in your life to kill it in whatever activity they love to do! 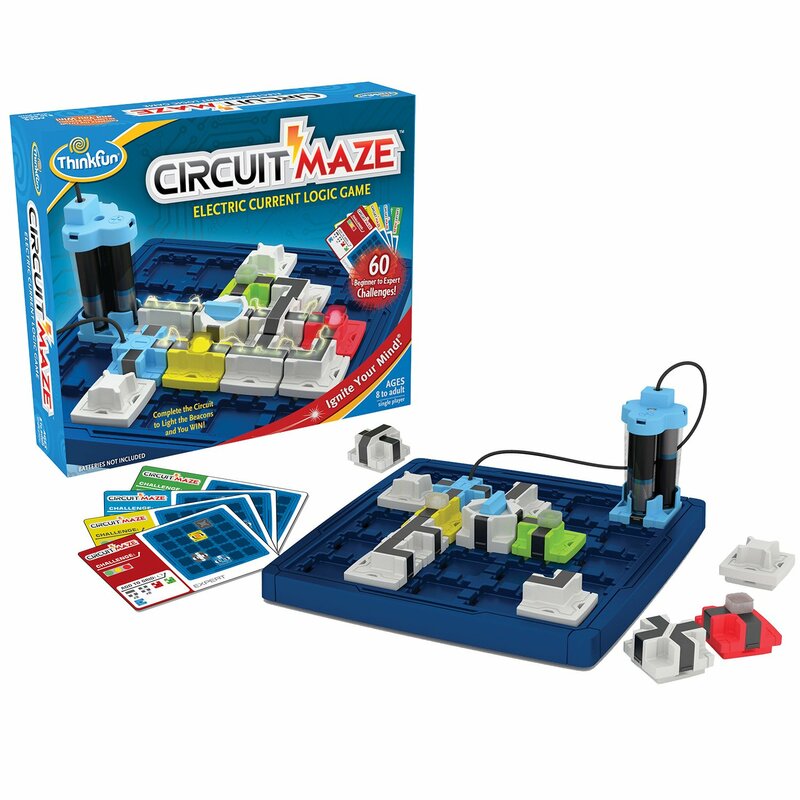 This board game is great for teaching children how circuits and electrical currents work! Complete the current to allow lights to illuminate on the board. We know that it’s important to get children interested in STEM – games is a great way to start. Tile is perfect for the person in your life who is often forgetful. In my family, the person who loses something often gets teased relentlessly (last year, my mother in law lost the wishbone to the Thanksgiving turkey – and it turned into a house-wide manhunt.) 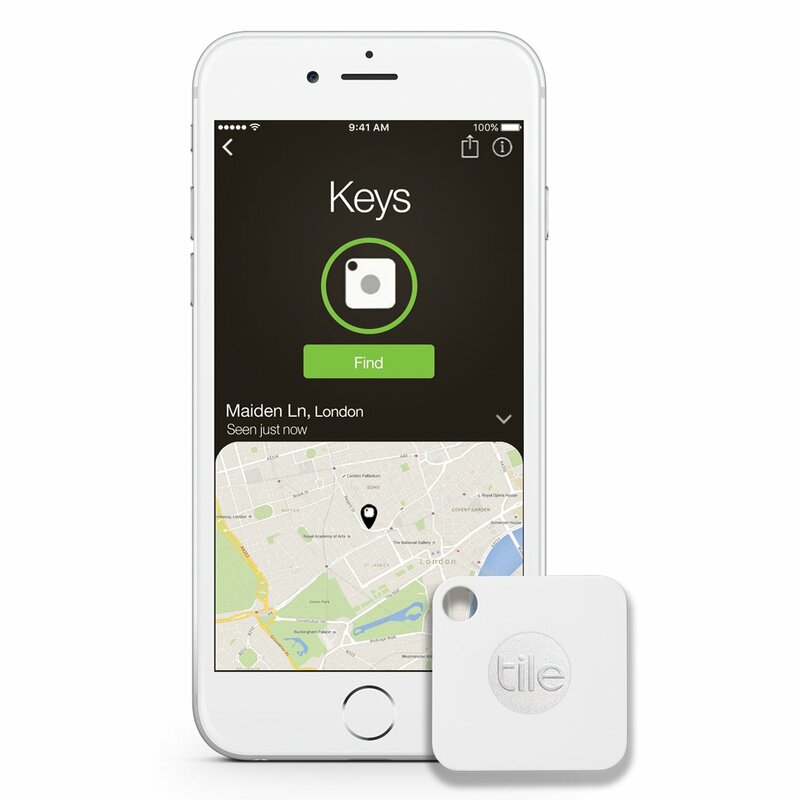 Whether it’s your keys or your mind, the Tile is perfect to keep everything in place. But first, you need to take a picture for the ‘gram. 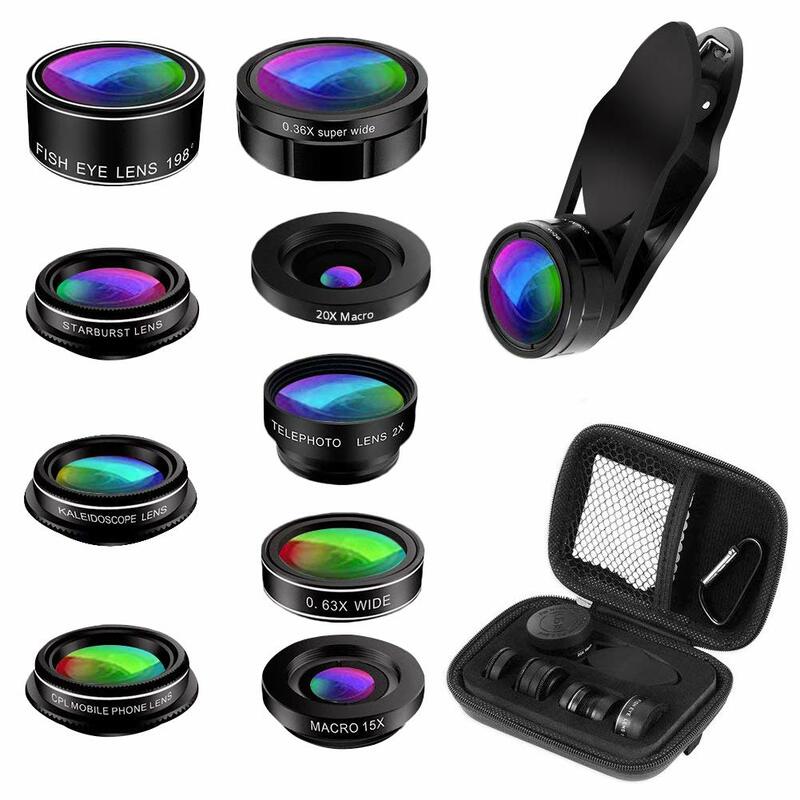 When we share so much of our lives through our phone lenses, a snap on lens kit is a great option for the want-to-be photographer in your life. We all have the one uncle, brother, or cousin who is an action star. Don’t think that you need to spend a ton of money on a name-brand action camera. 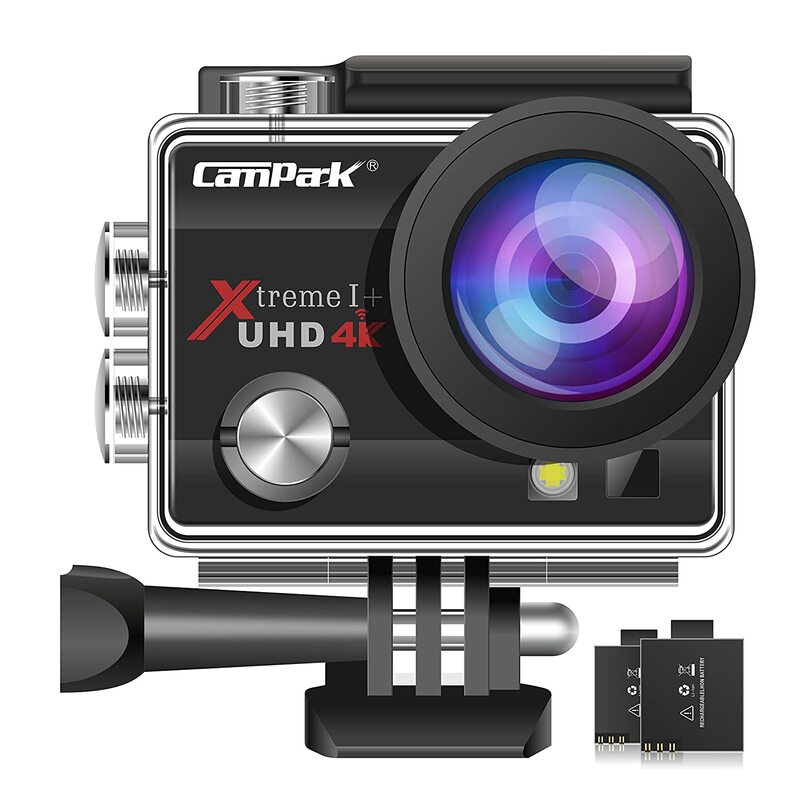 The CamPark action camera is a great substitute for other options. Take a picture underwater on your next vacation, or during a winter trip where you carve up the slopes – this camera will be your partner on the way! 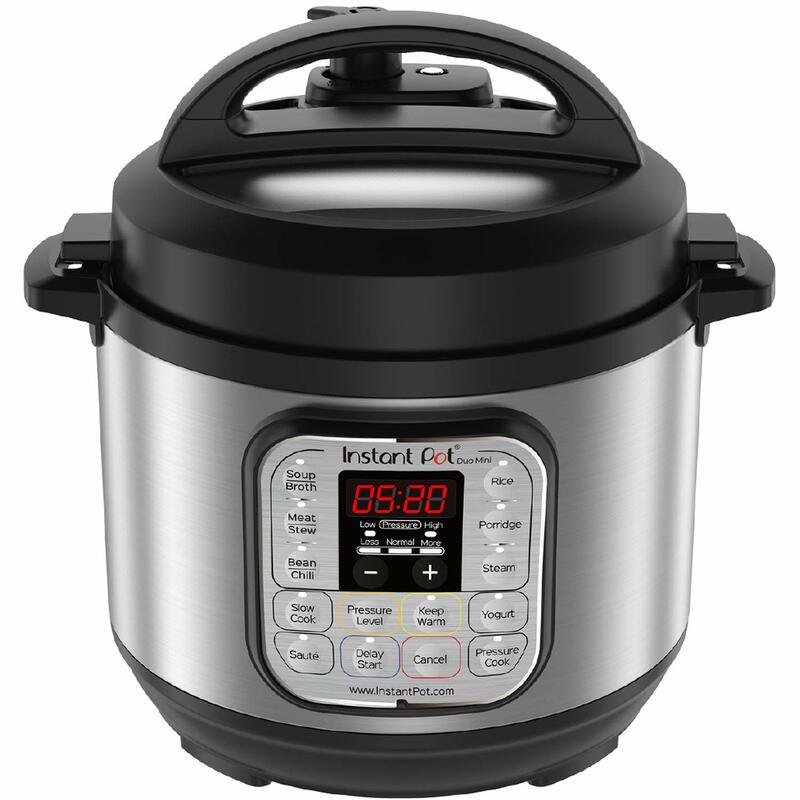 The Instant Pot has taken the meal prep world by storm by allowing you to cook wonderful meals in no time. Pressure cooking used to be all the rage – and this counter top device is bringing it back. Show the chef in your life how much you value their time, by making dinner take up less of theirs! With such a variety of gifts- there’s one here for the whole family! With hope, this year you’ll be spending more time worrying about wrapping, than making sure these tech gifts fit into your budget! I grew up believing awful stereotypes about Muslims - but I'm Muslim.